I have to say that this has been a wonderful week of cooking and creating recipes! As you all know by now, last weekend I went on a food adventure at North Market in Columbus, OH. I have never been surrounded by so many local, fresh, merchants and artisans in all my life! The very first shop I encountered during my trip to the market was this great little spice shop called North Market Spices LTD. The have a great back story. They were actually conceived over lunch AT the North Market! They sell only the highest quality spices that are designed to make our cooking "creative, fun, and delicious"! I have been cooking with my purchases all week, and I can assure you that is exactly what they have done! Of course, part of the mission I had for myself in all of this was to purchase items I have never used in my kitchen and bring them home to work with. 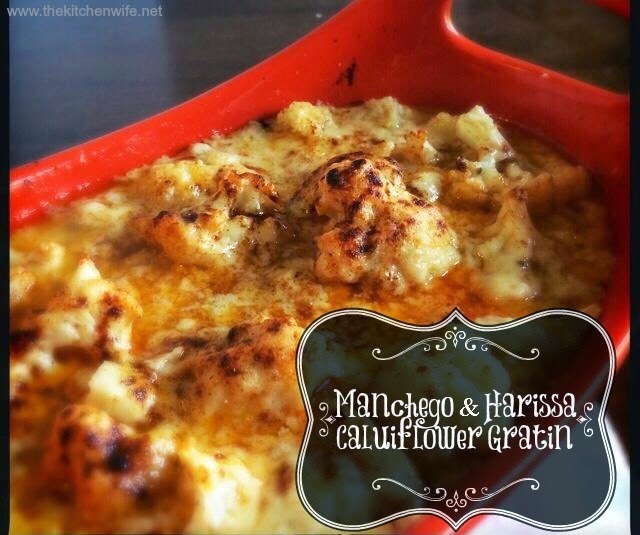 When my sister tried this, she said, and I quote "This is amazing!...I can't believe I am saying that about cauliflower, but WOW!" I can't wait to show you how to make it! First of all, you will want to pre-heat your oven to 375 degrees. Then, fill a large pot with water and add some salt. While you are waiting for your water to come to a boil, you can break down your cauliflower. tender, but still firm. Drain the water and set to the side. Add the butter to a medium sauce pan over low heat, and melt. And mix with a wooden spoon, stirring constantly. Now you will want to add the hot milk. Stir constantly, while it is coming to a boil. Let simmer until it thickens. And a 1/2 c. Parmesan. Whisk together and taste for any additional seasoning. Pour the cheese sauce over it. Make sure all of your cauliflower is coated. Sprinkle with a little bit of sweet paprika for color. Place in your pre-heated 375 degree oven and cook for 3-35 minutes until golden brown and bubbly! 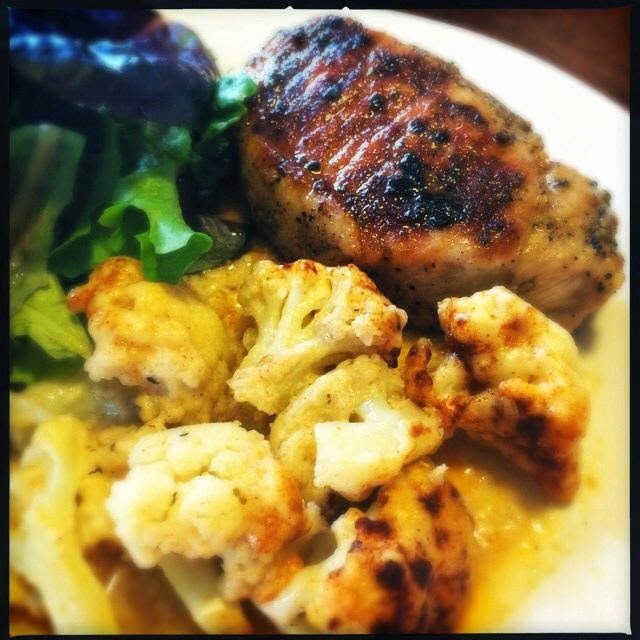 Who knew cauliflower could be so scrumptious looking! and a piece of grilled chicken or pork chops. If you would like to introduce yourself and your family to new spices and flavors, this is a great way to do it. I know you are going to love this and I can't wait for you to try it! Cook the cauliflower in large pot of boiling water for 5 to 6 minutes, until tender but firm. Meanwhile, melt 2 tbsp. of the butter in a medium saucepan over low heat. Add the flour, stirring constantly with a wooden spoon or whisk for 2 minutes. Pour the hot milk into the butter-flour mixture (roux) and stir until it comes to a boil, whisking constantly, for 1 minute or until thickened. Off of the heat, add the salt & pepper, Harissa, 1/2 c. manchego, and 1/2 c. parmesan. 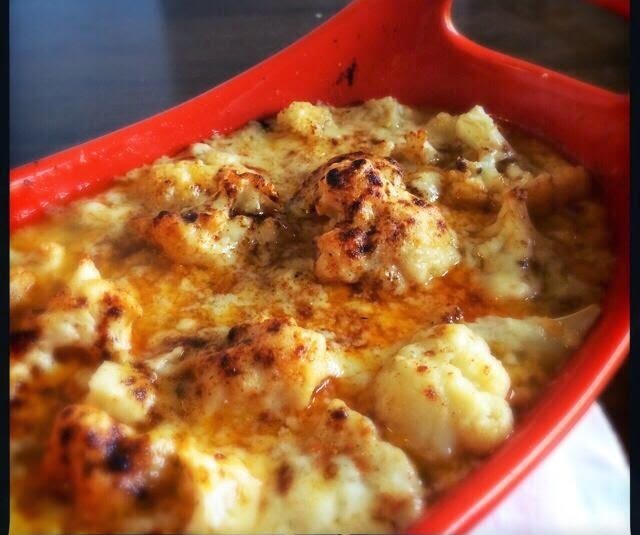 Place the cooked and drained cauliflower into a greased baking dish. Pour the cheese sauce over the cauliflower, making sure it is all evenly coated. Sprinkle the remaining cheese on top, and sprinkle with sweet paprika for color. Place in a pre-heated 375 degree oven for 3-35 minutes until golden brown. Serve with your favorite entrée and a nice green salad.